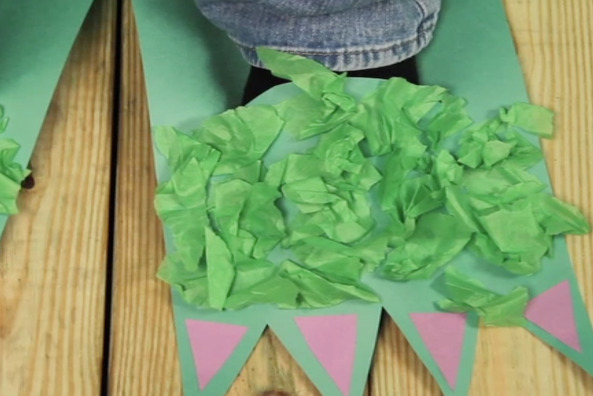 Stomp around in these creepy Monster Feet. 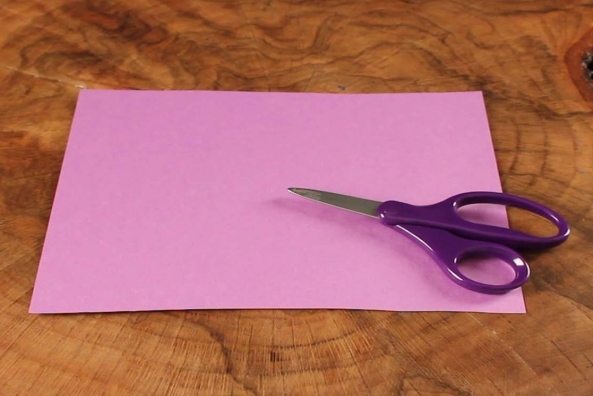 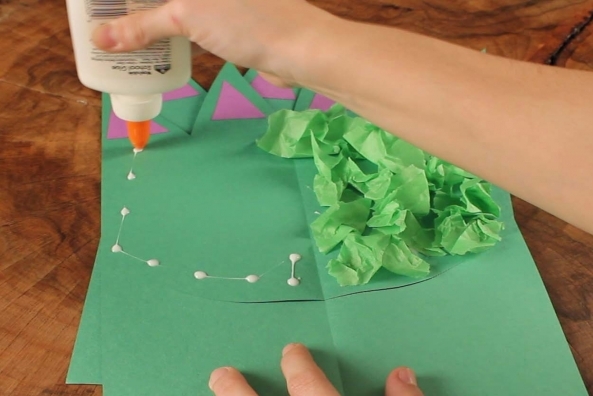 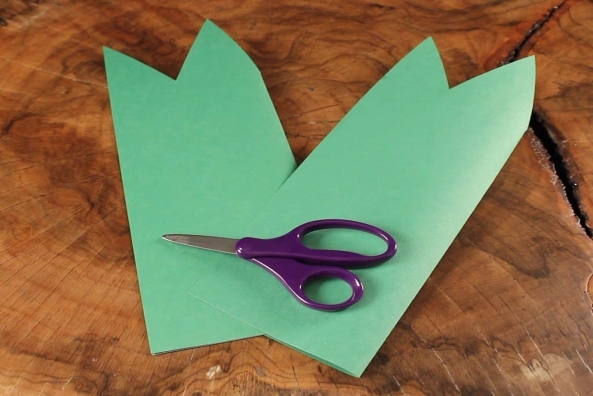 Make them with construction paper and tissue paper! 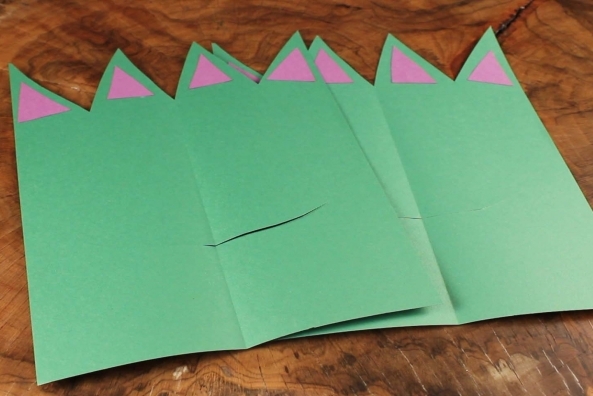 Compare your knowledge of monsters with an expert. 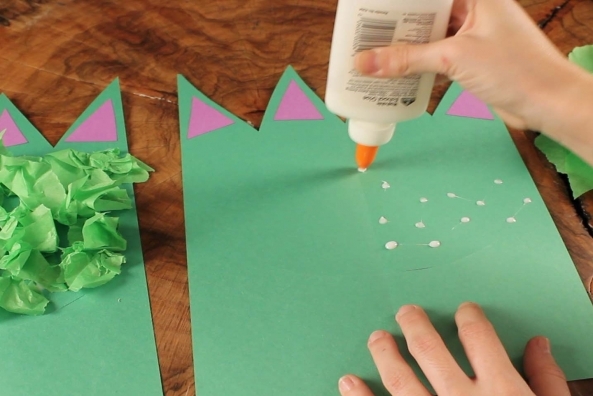 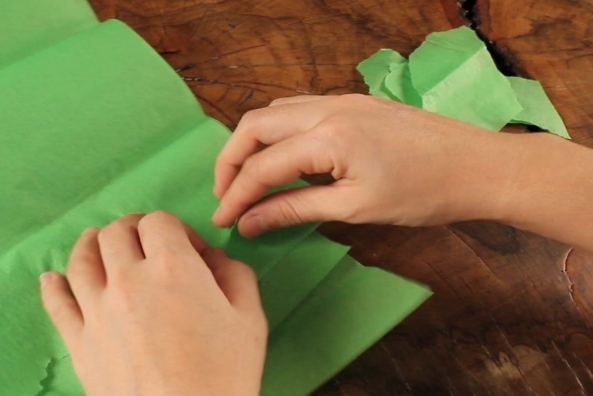 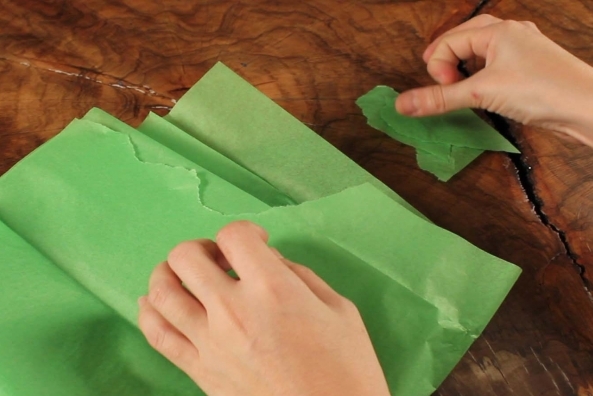 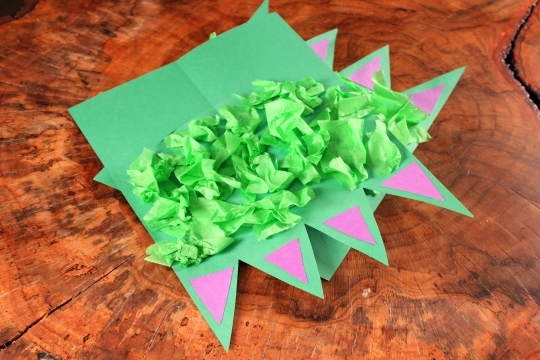 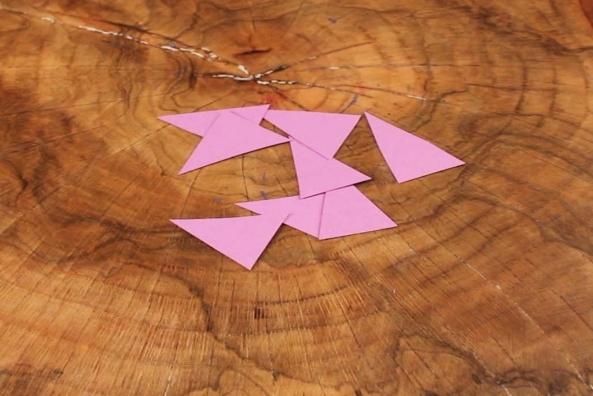 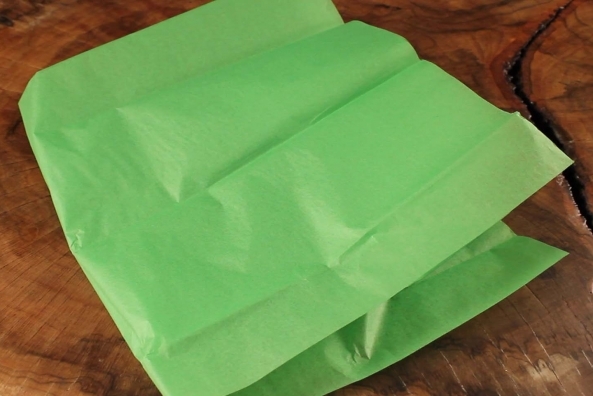 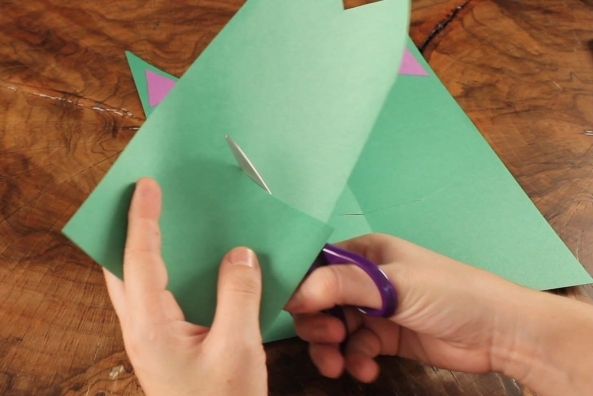 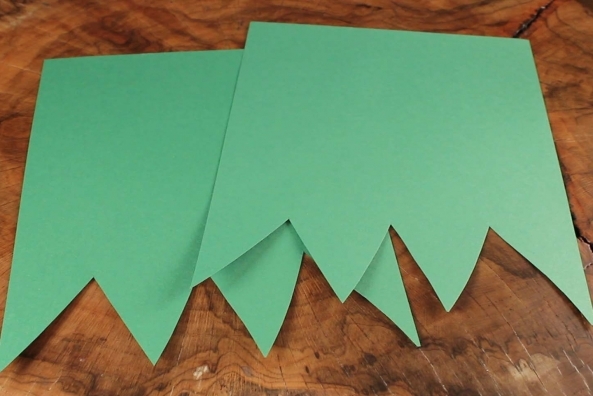 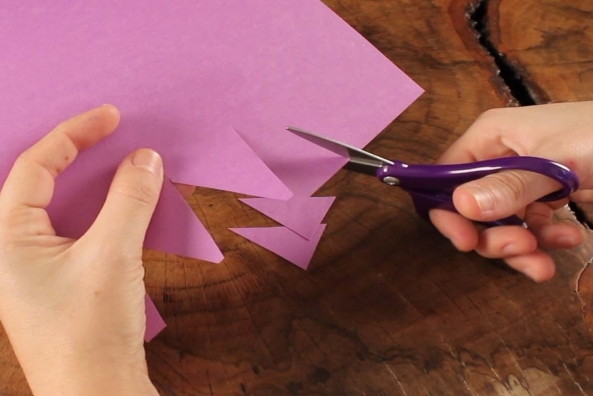 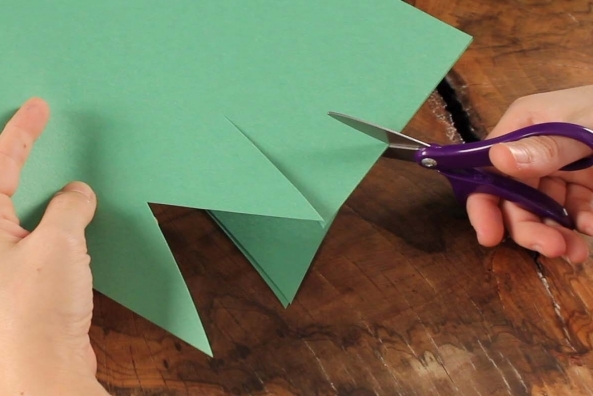 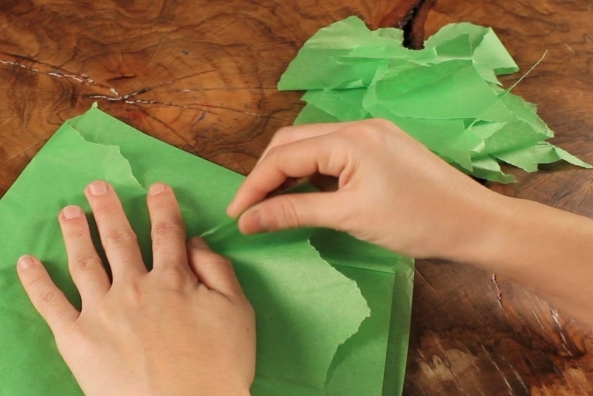 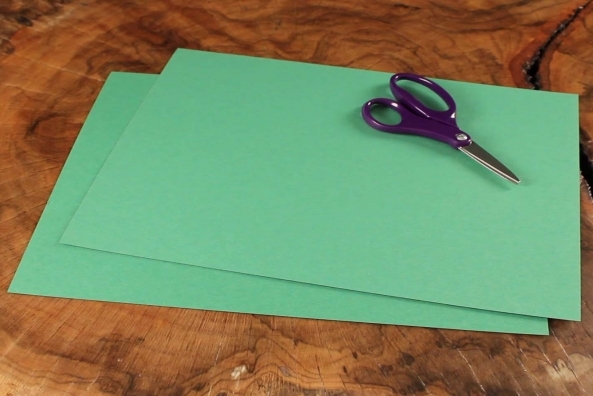 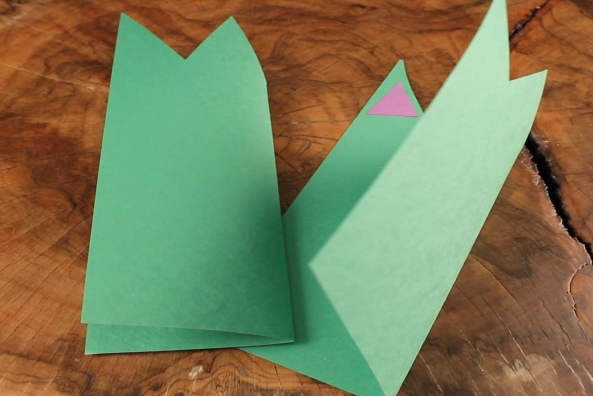 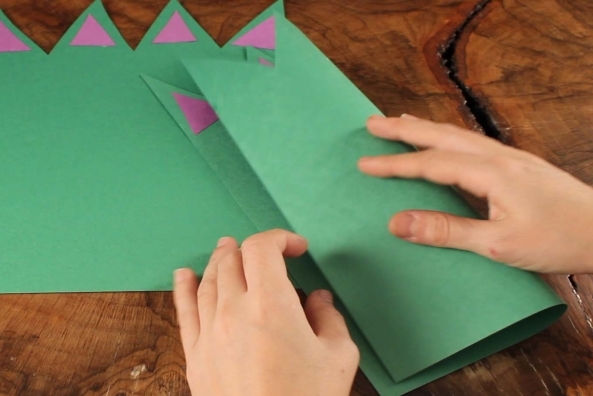 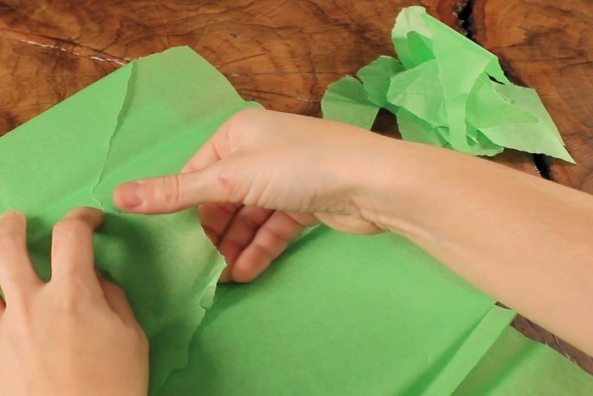 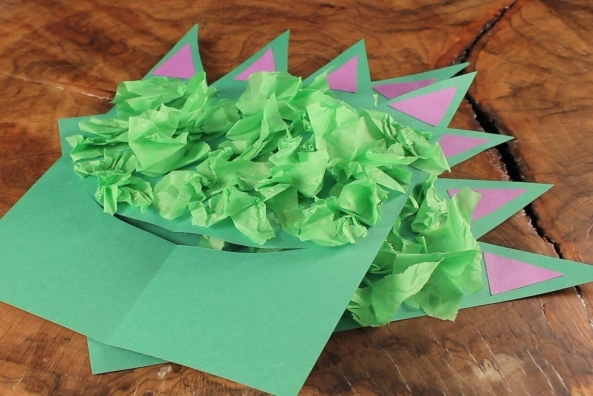 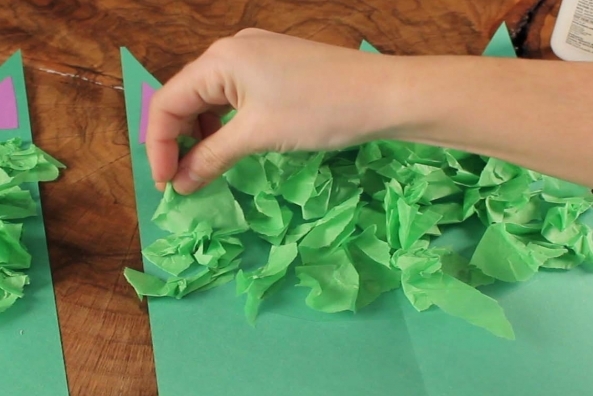 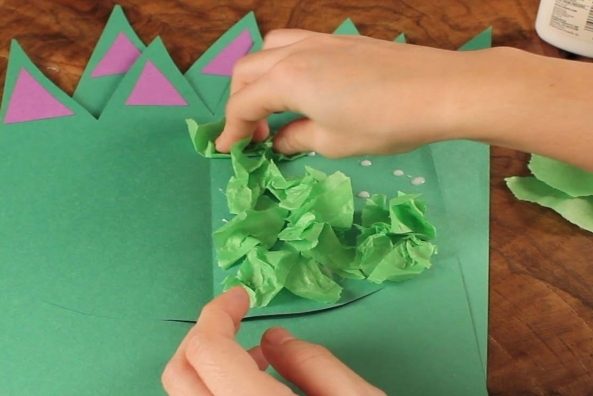 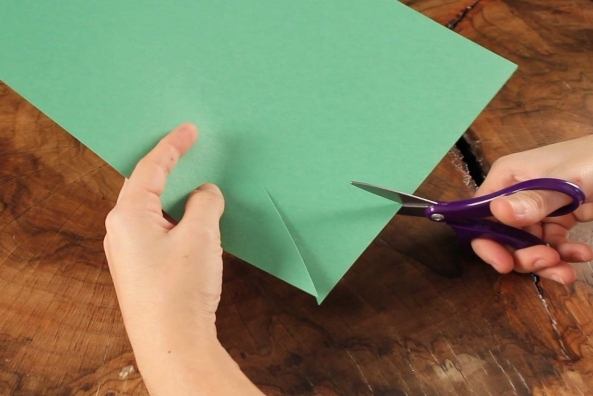 Cut three pointy triangles out of one end of two pieces of green construction paper and throw them away. 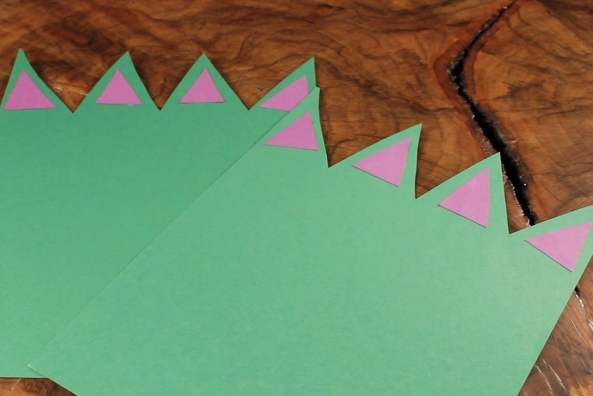 Cut eight small triangles from a piece of purple construction paper. 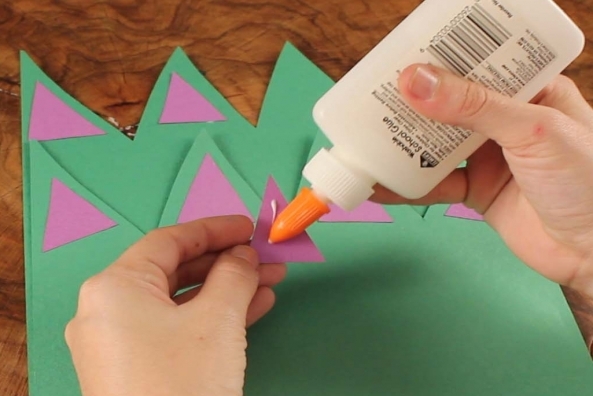 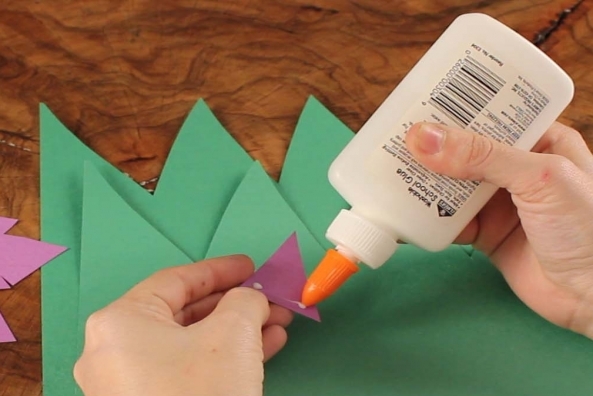 Glue a purple triangle in the center of each green point. 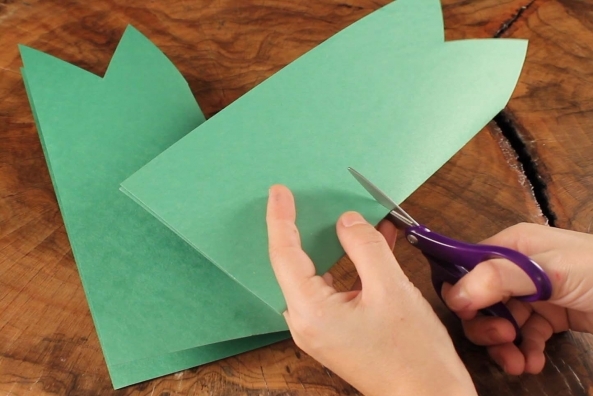 Fold the two feet in half. 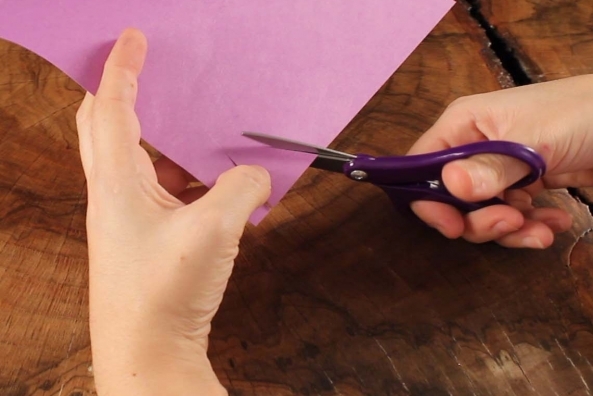 Cut a slit large enough to fit your own foot through. 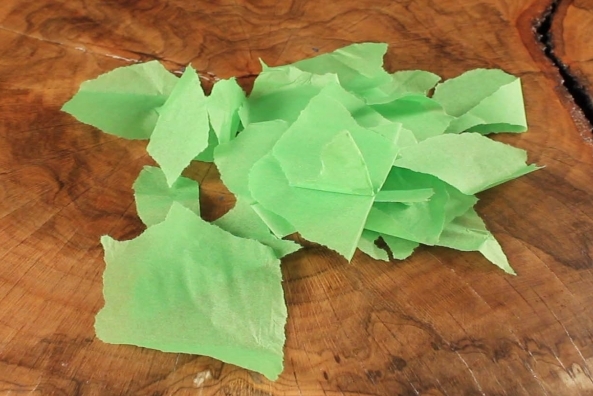 Tear pieces of green tissue paper. 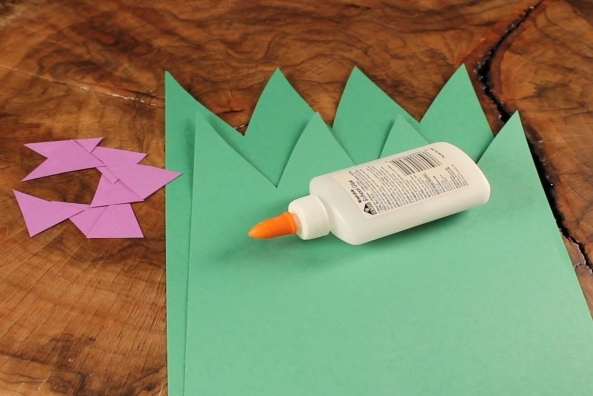 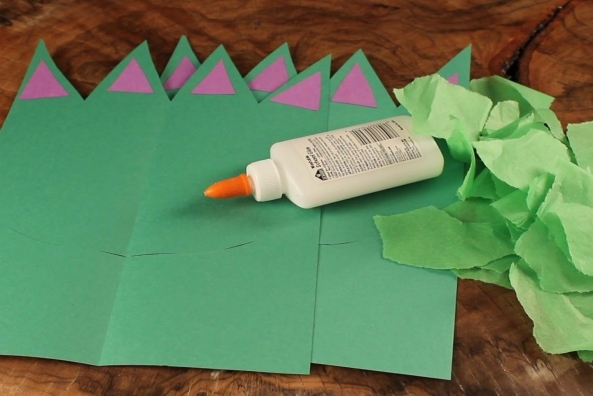 Crumple the tissue pieces and glue them onto the top of the monster feet. 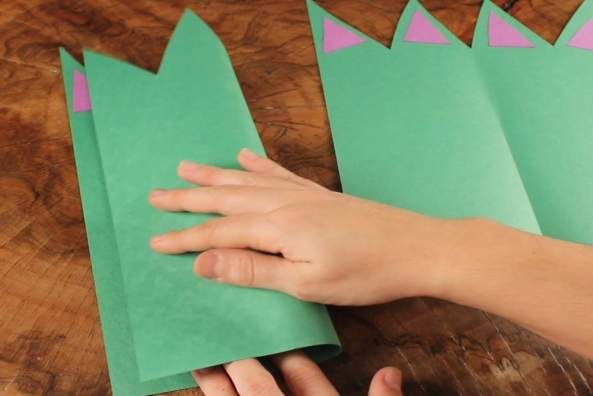 To wear: Slide a barefoot through the slit and allow the extra paper to sit on top of your foot. 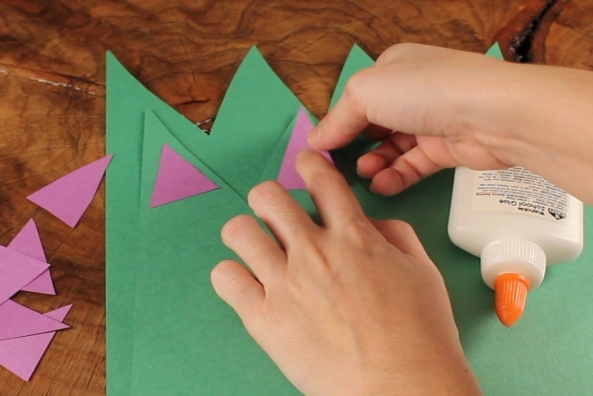 Make monster hands by following the same directions!